Population health, or public health, focuses on preventing, diagnosing, and treating an entire population of people rather than one person at a time. The Affordable Care Act (ACA) — which rewards value and care coordination rather than volume and care duplication — requires clinicians to manage this type of patient care at a practice level. It’s referred to as practice-based population health. If you want to improve a population’s health, you must be able to measure it. 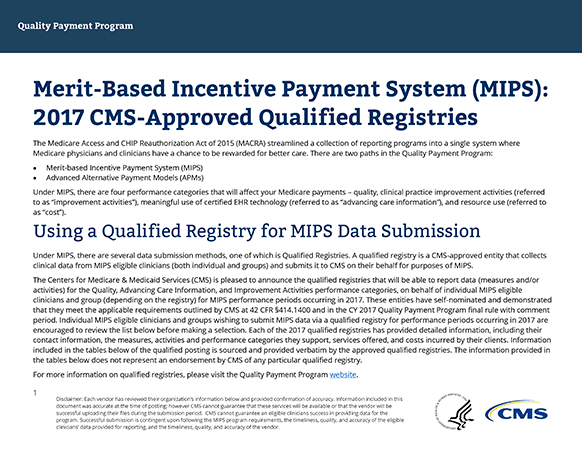 Programs such as The Center for Medicare & Medicaid Services’ (CMS) Quality Payment Program identifies national focus areas and requires the use of electronic clinical quality measures (eCQM). 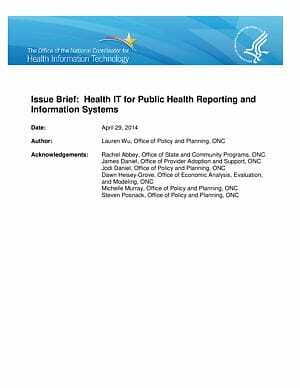 Public health agencies also require electronic reporting, because it improves the timeliness and accuracy of the data they need to identify disease outbreaks and to track disease trends over time. Care management occurs at various levels of the health care system, including the population level, the practice or panel level, and the individual patient level. Care-management programs often focus on the challenges presented by patients with chronic conditions, such as heart disease, diabetes, or asthma. 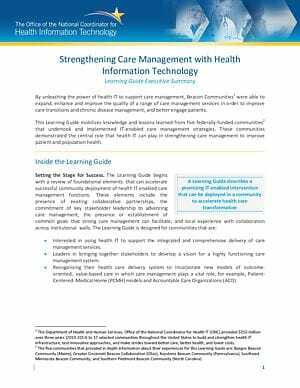 A learning guide focused on using health IT to strengthen care management. It organizes knowledge and lessons learned from 5 federally-funded communities that implemented IT-enabled care-management strategies. Population health focuses on improving health outcomes for large groups of people by monitoring and identifying individual patients within those groups. Population health management (PHM) tools help clinicians aggregate and analyze data to create a comprehensive, actionable clinical picture of each patient. Using the information generated by these tools, clinicians can track and improve clinical outcomes — and lower health care costs. These modules offer innovative strategies that can help your practice provide better care by proactively identifying patients’ preventive and chronic care needs. Panel Management — This strategy can help your practice identify and track all your patients’ care needs — whether or not they are coming in for appointments regularly. Implementing a Point-of-Care Registry — This system can be integrated into your practice’s electronic health record, providing customized visit protocols for each patient visit and facilitating targeted outreach between visits. They do all this by monitoring the health status of populations, investigating health problems —such as outbreaks — and mobilizing when problems arise. Public health departments depend upon data from clinicians captured during the regular course of clinical care. The data lets them measure the prevalence and incidence of diseases in populations. Clinicians also report to registries — databases that contain patient health information about a specific disease or program — such as immunization, cancer, and death registries. 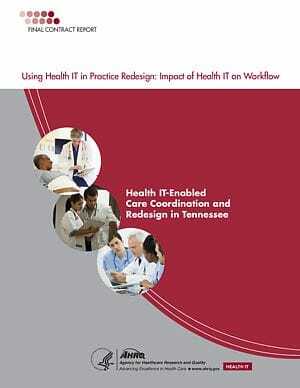 Clinicians use electronic health record (EHR) and health information exchange functions for required reporting. Learn more about public health reporting. Visit the Meaningful Use Public Health Reporting Requirements Task Force website. A clinical data registry, or patient registry, is a system for uniform information collection. This information helps evaluate specified outcomes for a patient population defined by a certain disease, condition, or exposure — such as hepatitis C, fibromyalgia, or thalidomide. The Centers for Medicare and Medicaid Services (CMS) recognizes 2 types of patient registries: qualified clinical data registries (QCDR) and clinical data registries (CDR). CDRs offer limited reporting value. They’re used only to report some public health data for the CMS Quality Payment Program. Note: This Playbook only provides information for QCDRs. Who runs a patient registry? Use the Center for Disease Control’s (CDC) interactive map to find contact information for a state’s Immunization Information Systems (IIS). Initially, data collection for patient registries involved manual chart abstraction. Today, widespread EHR use makes greater data collection and analysis possible. The result? A dramatic improvement in a registry’s capacity to understand and monitor the quality of care for the practices and patients it serves. How can my practice or group start using a qualified clinical data registry? The first step is understanding your QCDR options. Start by asking colleagues in your specialty about using a QCDR. Their opinions may help you decide. Once you select a QCDR, you must complete the application process. You’re not limited to one registry, but most practices participate in only one. During the application process, you will verify your certified EHR system and complete business associate agreements (BAA). Your EHR must be configured to provide the correct data — in the right format — to the QCDR. “Mapping” refers to matching specific elements of your EHR data to the corresponding elements in the QCDR files. After mapping your EHR data, a practice scorecard shows which measures your current EHR data can accommodate. Your scorecard may list “unmapped” measures. That means — in its current configuration — your EHR can’t supply complete data to report those specific measures. Sometimes adjustments to your EHR, or to practice workflows, can turn unmapped measures into mapped measures. Choose any measures your practice will use for other reporting, such as medical licensing or ABMS certification. Your QCDR organization will show your practice how to test data submission and how to receive registry reports based on your performance. Make sure your clinical staff understands what activities and services affect the practice performance score. Practices participate in a QCDR to better understand the clinical care they provide to patients with similar conditions. Reporting your performance on QCDR measures is just the first step to improve overall quality of care. The next step involves setting goals for improvement — which includes the entire staff identifying actions they can take to improve performance. Regularly review the QCDR reports and measure your own improvement. This will set your practice on the road to better patient outcomes. 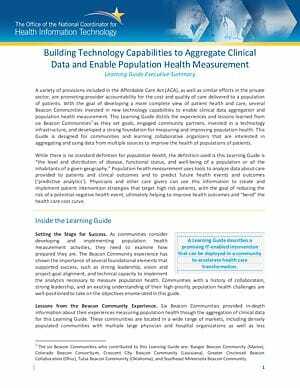 Use health IT to strengthen population health management. Do you have a tip or suggestion for supporting population health management that's worked well in your practice? Share it here!